Editor's/Translator's Note: I composed this poem in both Spanish and English at various points. Sometimes I was inspired in Spanish and at other times in English. I took some liberties with both the Spanish and English grammar for poetic reasons, to more effectively convey the image I wished to present to the reader. I actually think a lot of poetic devices are easier to use in Spanish, and I really like the Spanish version of this poem. 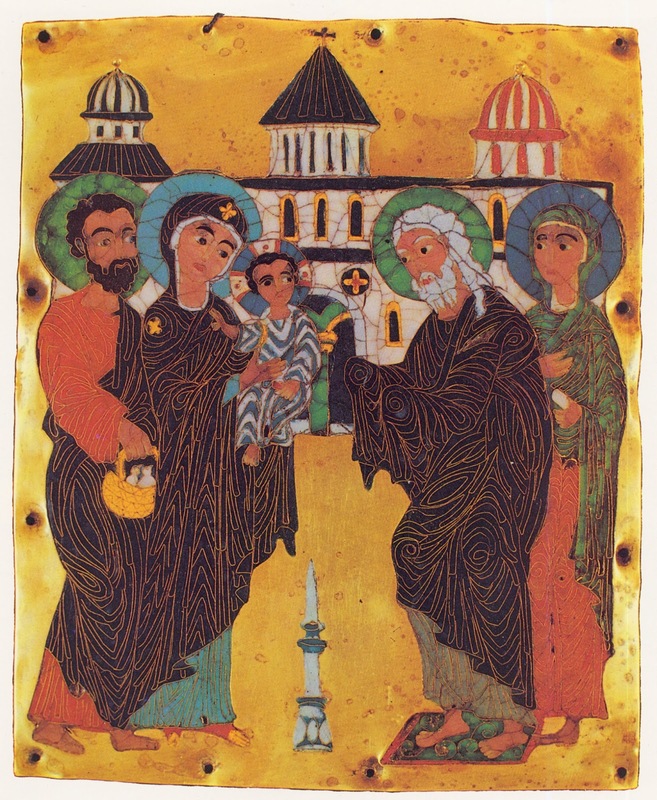 "The Arms of Our Lady"
for the Magi to adore Him. for his morning's broken fast. for all to mourn Him. for all to know Him. for all who sinned against Him. "Los Brazos de Nuestra Señora"
para los Reyes Magos adorar a Él. para Su ayuno roto de la mañana. para toda la gente llorar a Él. para toda la gente conocer a Él. para todas las que pecaron contra Él. después de Su última respiración. At the beginning of 2016, I wrote about how a life-permeating discipline had allowed me to grow in ways that made me more loving, and how I wanted to love more, and keep my focus on love. One of those disciplines was, of course, regular prayer. And I was already praying regularly, both petitions and contemplative prayer. I may have smiled as I said it, but I was not joking when I told my boss that my job had been great for my prayer life in the sense that it had given me many reasons to pray frequently. In the first part of 2017, I took up the scapular as a means of cultivating a deeper commitment to prayer and penance. 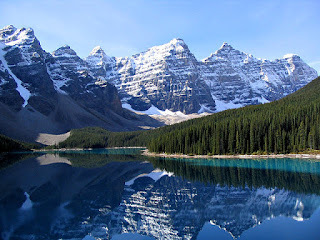 I had a strong sense that to love God more fully, I would need practical ways of motivating myself to engage in more sacrificial devotions that further divested me of my selfishness, driving the ego out of more parts of my life in order to make more room for Love Himself. Shortly thereafter, I decided to pray an hour a day. At first, I used a prayer book I happened to have that was for Eastern Catholics or Eastern Orthodox laypeople to participate in liturgical-style prayer during the day. I really enjoyed doing that for a couple months, but as a Roman Catholic I felt the need to align my personal prayer with my regular liturgical prayer tradition, and so I found a nice traditional Catholic prayer book and began using that instead. Later, the Central Province of the Dominican Order in the U.S. released a mobile app to assist with praying Compline in the Dominican fashion, and I started utilizing it as my night prayer before bed. That was my first consistent praying of any part of the Liturgy of the Hours. I had prayed a bit of it before, but it had never become a habit. This past Fall, I took a trip to Washington, DC. I visited the Dominican House of Studies, and saw how great it really is to pray the Liturgy of the Hours in community. Ever since, I've used the Laudate mobile app to pray as much of the Liturgy of the Hours as possible. It has genuinely changed my life because it has changed my focus from finding moments in which to be productive (and avoid sin) to finding moments in which to be prayerful. It has also improved my singing, because I am spending about an hour a day in prayer on average, and generally at least half of that is sung prayer. And that's before I practice any of the chants for Sunday, which adds even more time spent in prayer while reading Scripture. I still pray my petitions for my family and friends and others I've agreed to pray for (though some days I forget). I still offer prayers for the conversion of individuals, and pray spontaneously on occasion. I still pray rosaries while on road trips and on flights. I still write poetic prayers. What changed over the past year is not just my habits of prayer, but my heart. Prayer in its mature form is fundamentally an act of setting aside the ego, whether we ask for what is good for another person, or we praise the Lord, or we ask God to help us grow in virtue so that we can better serve Him. Doing this habitually re-shapes our character over time so that we become less selfish through a gradual process of stepping more and more often outside of our own attachments to the things of this world. And instead, keeping our focus more and more often on how we can serve the Lord and His least brothers and sisters. Prayer is dynamic: it changes us, it motivates us, it grows our relationship with God. May all of us who pray find the dynamic peace of Christ growing in our hearts, the peace the world cannot give and that same peace which the world cannot take away. 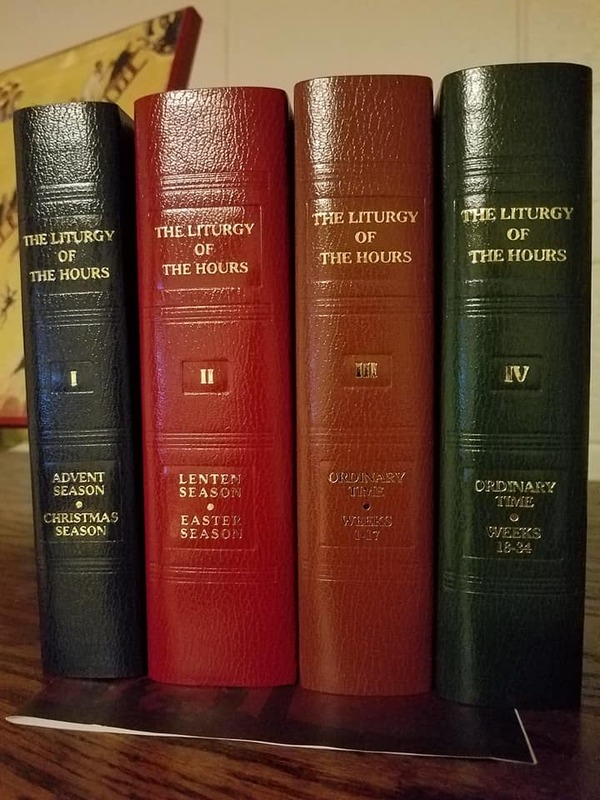 The above is a picture of the 4-book Liturgy of the Hours set that I was given for Christmas. Our clothing, as Americans today, is primarily a representation of who we are as individuals. We might have a uniform we wear to work or in the military as a secondary matter, but the first and most fundamental way we have of understanding clothing is as a matter of personal expression. In the scope of human history, personal expression has probably always been a factor in clothing choices. But it was probably very much a secondary factor much of the time. For the ancients, clothing was much more likely to be primarily a representation of that to which they owed some allegiance, whether it be their tribe, their king, or their family. When the ancients wore clothing which was a representation of that to which they owed allegiance, it was an act of self-effacement. Even the messenger of a wealthy king, who would have been dressed quite richly, wasn't dressed richly because he himself was the king, but because he was acting as the representative of the king, and therefore needed to show quite obviously whom it was that he was representing. That said, it was also understood that how one treats the king's messenger is indicative of how much one respects the king. If you treat the king's messenger well, and send him back to the king with gifts and provisions, then the king knows that you are communicating your high respect for him, or at least for his position. On the other hand, if you snub the king's messenger by refusing to feast with him, and then send the messenger back home with harsh words, the king will notice that you do not have much respect for him. In short, it was generally wise to treat the messenger dressed in the king's colors almost as well as you would treat the king himself. The Founders of the United States probably understood all this at least somewhat. Many of them had some close ties to the countries of their forebears in which kings and their messengers were well-known. We who live in these United States 250 years later, however, are unlikely to ever have known a king, or even lived for long in a country whose king had exercised any immediate authority over us. I consciously realized today (Palm Sunday) at Mass, that our parish priest was dressed in very fine vestments. I recognized that these must be fairly expensive garments, and that they were extraordinarily beautiful. These vestments wouldn't make sense in any other context than representing a king. Here in the U.S. we have no earthly king. Perhaps this is why we Americans can find rich vestments on our clergy a bit off-putting. 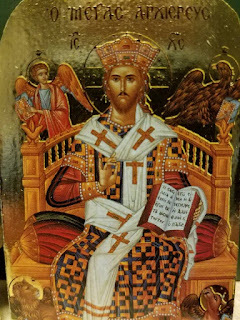 Having no king, we no longer have an easy cultural touchstone to function as a way to arrive at the understanding that ornate priestly vestments are less a matter of personal expression and more a matter of representation. It is easy for us to imagine that the priest thinks that he's all high and mighty because of his fine robes as he celebrates the liturgy, and difficult for us to imagine that he dresses in these vestments because he is representing the King of kings and Lord of lords when he celebrates the memorial feast of the King of Heaven. It's easy for us to imagine that the priest simply has a personal preference for frilly, fanciful garments. And based on what I've seen of gossip in these sexuality-obsessed days, it's even easier to suggest with a wink to others that the priest likes such things because he's secretly attracted to other men. It's more difficult for us to imagine that the priest finds them difficult to wear because of the heat and the weight of them, and to sympathize with him. And it's more difficult to imagine that he actually finds those fancy vestments difficult to wear because he knows how the gossip will play out, but he wears them out of obedience to the Church anyway. This is an act of the obedience of Love. To turn over our choice of clothing to the King as an act of representing our King is, in a small way, to show our love for Him by obedience, and thus to love to death a part of our ego. The childish ego we carry with us wants to keep the focus on our clothing as a matter of personal expression, so that we can get compliments from the people we prefer them from, and perhaps so that those we prefer to offend will be bothered by our clothing. 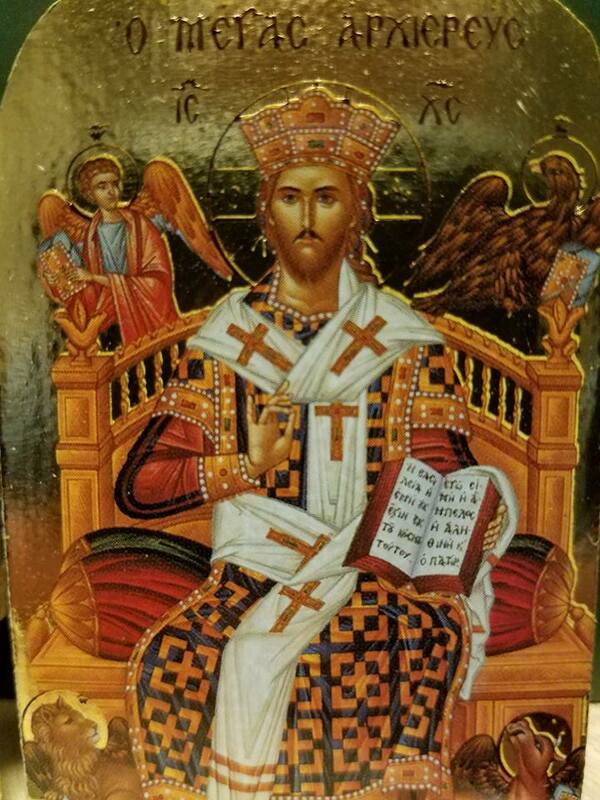 Christ the King asks us to turn everything over to Him, and to live every part of our lives representing Him who is eternal Love rather than the transient desires of our egos. This naturally includes how we clothe ourselves, and in a special way it includes those who are designated to act as the King's messenger before the community. And so the priest wears the vestments of Love, the rich kingly garments that show us vibrantly that it is the King of Kings for whom he delivers a message. The above is a picture I took of an icon I purchased from legacyicons.com, and it is one part of a diptych depicting both Mary and Christ. It shows Christ in liturgical vestments, crowned and enthroned in glory with the symbols of the four Evangelists surrounding Him.